At what age is it okay to let your children walk home alone? An American couple have been found responsible for unsubstantiated child neglect for allowing their two children, aged six and 10, to walk home from the park alone. Is this a case of child neglect or simply an example of ‘free range’ parenting. Ten-year-old Ravi and his six-year-old sister Dvora are used to walking home alone. They often walk the 1.6 km route to a nearby park alone or walk together to the library, 1.2 kilometers away from their home in Maryland, USA. But last December the pair were stopped by the police on their way home from the park and their parents, Danielle and Alexander Meitiv, were recently charged with unsubstantiated child neglect. The Child Protection Service officials have been investigating the case since December last year when police picked up the two children walking along a busy street towards home. On 20 February the Meitivs received a letter notifying them they were found responsible for unsubstantiated child neglect. Maryland law states that children younger than eight must be left with a reliable person who is at least 13. According to Raising Children, all Australian states have laws in place to ensure children are not left without reasonable provision for an unreasonable amount of time, but what constitutes ‘reasonable provision’ and ‘unreasonable time’ is not clear. Most states have no actual law that says at what age children can or can’t be left alone, though in Queensland a carer who leaves a child under the age of 12 unsupervised for an unreasonable time can be charged and face three years in prison. The Meitivs, both scientists, are adamant that letting their children walk home alone is not a crime, but a form of parenting known as ‘free range’ parenting. 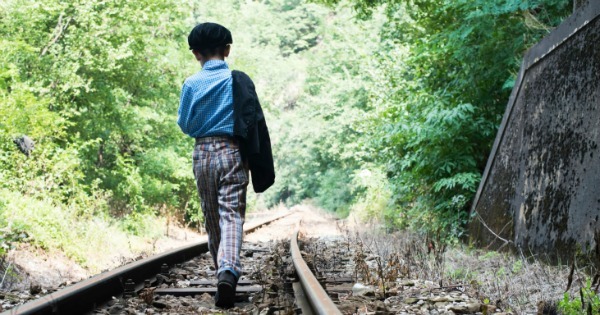 The ‘free range’ philosophy argues that children learn self-reliance by being allowed to make choices, build independence and progressively experience the world on their own. It is the opposite of helicopter parenting, a common trend where parents are seen to “hover over their children” and monitor every decision and move they make. Free Range Kids, created by the mother of ‘free range’ parenting, Lenore Skenazy, sites this form of parenting as a way to raise safe, self-reliant without going nuts with worry. Letting children walk home from school alone is nothing new. I used to make the kilometre-long trek to and from school alone and countless of other kids in our town did the same. And I pass children not much older than my five-year-old son riding their bikes home from school every day with not a parent in sight. Do you allow your children to walk home alone from the park or school? Where do you draw the line?